Everyone loves a good pair of trendy shoes for the holidays. And just like me, my daughter is quite picky when it comes to her shoe choices. 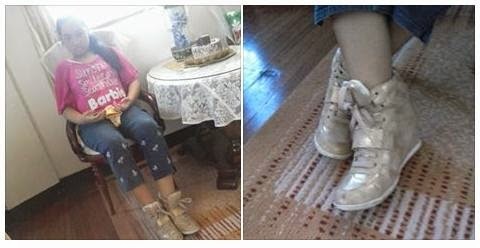 She is quite big for her age of ten and so I often have a hard time finding that perfect shoe fit. 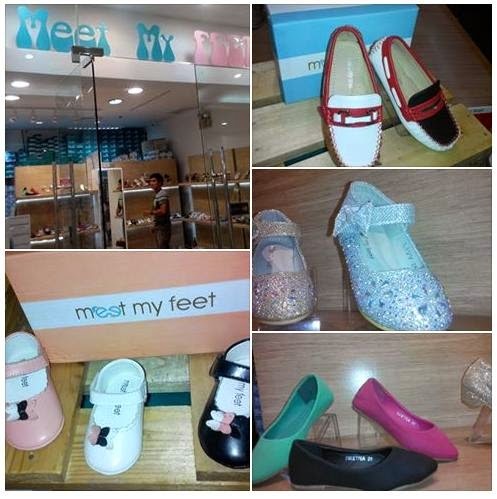 It's a good thing that we came across Meet My Feet shoe store at the Festival Mall. 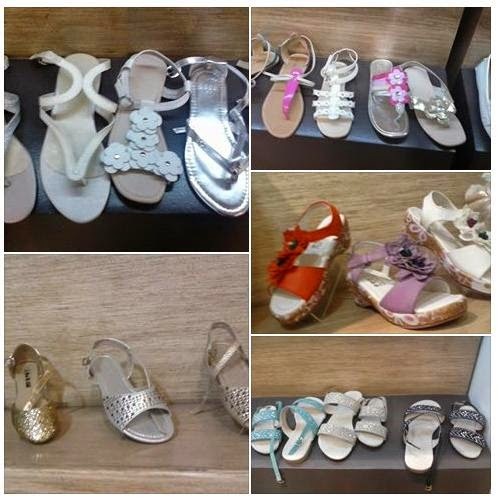 It offers a wide line of school shoes, sandals, flat shoes and wedges that comes in big lady sizes as well. Moms and kids who share a shoe passion would certainly find many fabulous options suited to their tastes. There are classic Mary Janes for young children in different colors and accents. These low-cut shoes has a strap across the instep usually fastened with a buckle or button. Meet My Feet has styles that cover from the demure schoolgirl, vintage chic to sophisticated teenies. The styles vary from semi-formal or formal shoes. 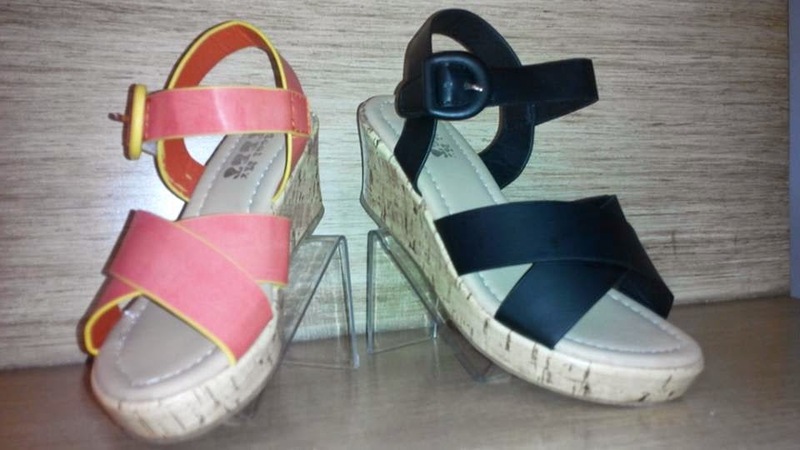 The fashionable high-heel shoes to comfortable flats available in fun colors, shapes and designs. My daughter and I had a fun time going through the shoe selections! I let her decide on which pair to pick. 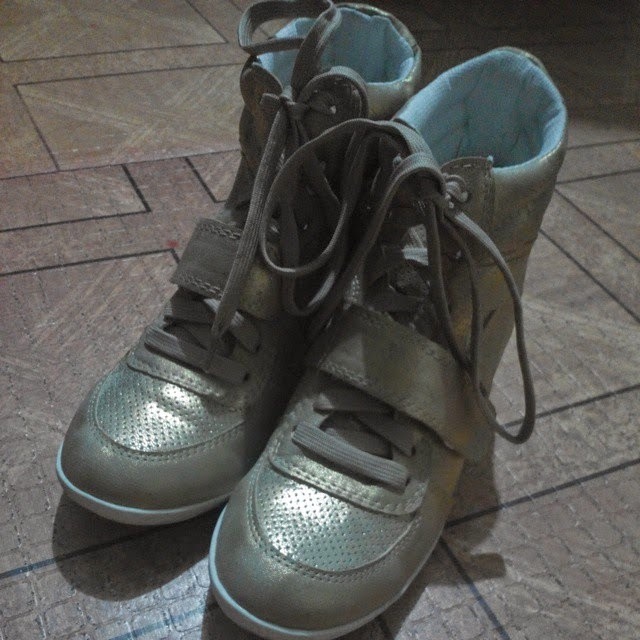 Finally, she came up with these wedge booties in gold. I was surprised that Meet My Feet has this in her shoe size 39. I didn't know that some styles are available in adult sizes up to size 43. This mid-heel footwear is ideal for lounging around or walking through the city. And I am happy that she chose a gold tone (my favorite color other than red) over the woodrose one. She already amassed quite a number of pink pairs over time. I like what she chose for herself. The lace up fastening and thick ankle cuffs combine with soft cushions to provide all-day comfort. This wedge boots is one that will turn any outfit around! I am actually partial to wedges. I prefer eye-catching wedges as an accent piece whenever I attend functions. I love the added height plus the way it makes my heavy ankles appear thinner. I also find them easier to walk in. 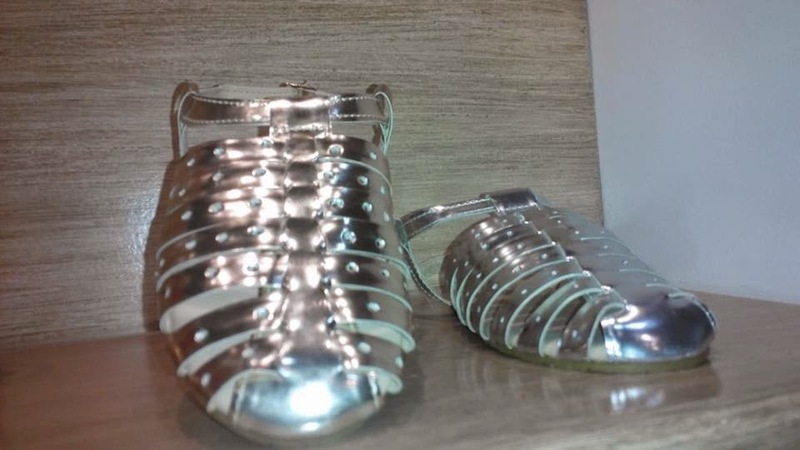 These gladiator sandals are eye-catching with its metallic tone and cut out design. I like its front strap and loop. Its rubber synthetic outsoles are they sturdy enough to provide protection and cushioning. The delicate details on this shoe make it really feminine and pretty. It will surely makes anyone's feet happy! 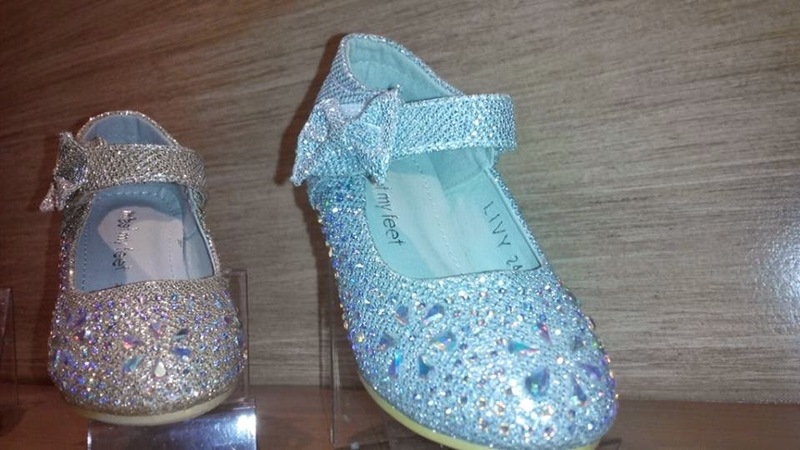 Moms and kids alike will love the girls’ shoes from Meet My Feet just like we did! So go visit Meet My Feet soon to find shoes that fit from an incredible variety of footware selections in different sizes, styles and colors. I've never seen this store at festi. Is this new? Yes, it's a new store at Festival. You should check it out soon. I love Wedge shoes!!! Yeah mukhang new store siya.. Well, we're going to festival tomorrow, might as well, swing by! Happy new year!